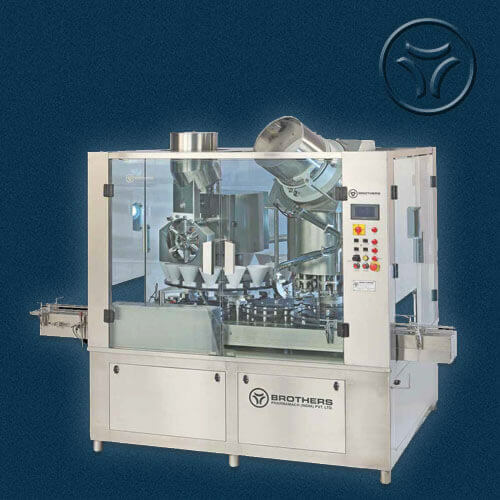 The Automatic High Speed 12 Head Rotary Dry Syrup Powder Filling Machine Model DRYFILL-80R is suitable for Glass, Plastic, PET, HDPE, LDPE Bottles with maximum speed of 80 Bottles per minute depending on Powder Fill Volume, Type of Powder, Bottle Diameter and Bottle Neck Diameter. 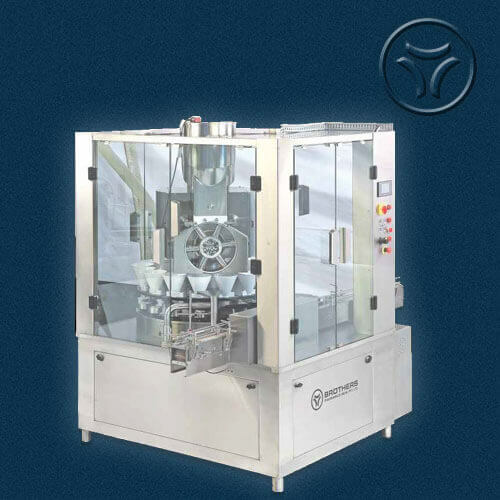 Machine in Stainless Steel Finish with heavy duty frame structure with S.S. Cladding. All parts coming in contact with Powders are made from SS316 Materials as well as HDPE Funnels. 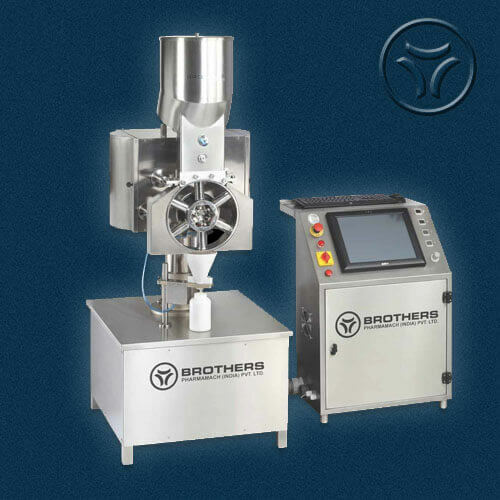 The Machine works on proven time tested Vacuum and Air Systems to Fill powder in Bottle achieving higher speed and higher accuracy. 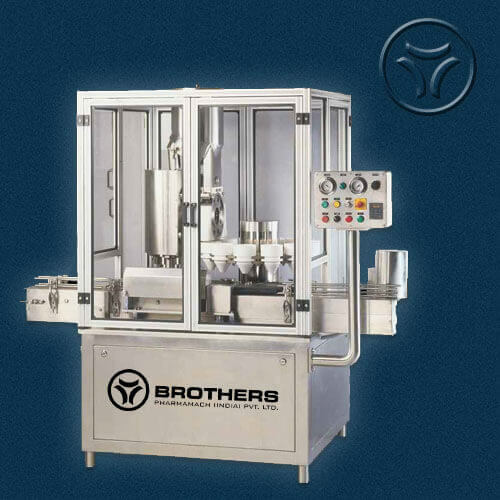 Machine with unique Bottle Lifting and Neck Holding system avoid spillage of powder on bottle shoulder, neck and body keeps bottle clean and also avoid wastage of powder. 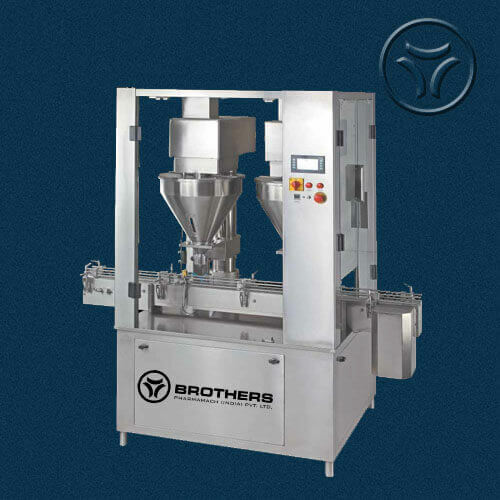 Machine with complete synchronization of Bottle In-feed Star Wheel, Powder Wheel movement and out-feed Star Wheel for smoother operation. 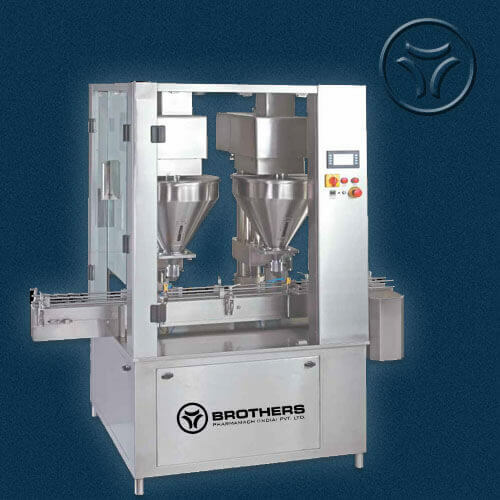 Machine with Rotary Bottle Moving system ensures very high speed powder filling through independent moving funnel along with bottles for greater speed and performance without compromising speed and fill accuracy. 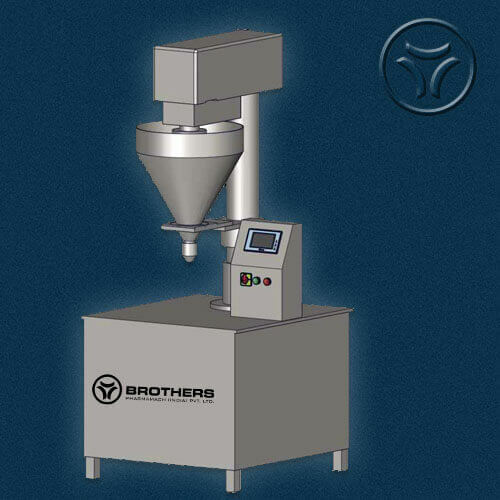 Machines with unique vibratory system inside the funnel helps filling of semi free flow type powder at higher speed. Speed : Max. 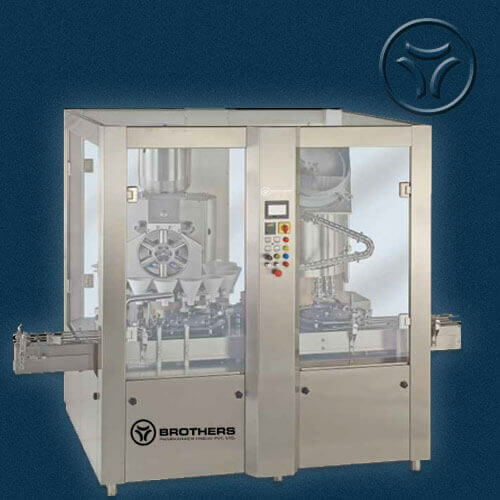 80 Bottles per minute depending on Bottle Size, Bottle Neck Diameter, Type of Powder and Fill Volume. Vacuum : 28” Hg. @ 300 LPM 2nos. and 500LPM 1no. Note: Required Compressed Air as well as Vaccum Pump / Vaccum Line to be provided by customer only.